As a BlackBerry user we're identified by our connectivity. Even by the creators of our beloved devices we're called hyper-connected. The funny thing about the tech world is the ever evolving nature of what it is and how we use it. #BlackBerry10 has been very good at incorporating aspects of social media into the OS. This can be seen in the contacts apps, hub and even the calendar app. 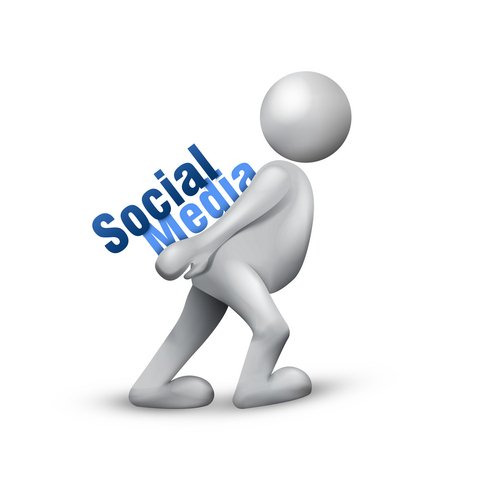 What I do find increasingly difficult is managing the output of information to all my social medias. Let me tell you a little bit more about myself. I own my own business and have 7 employees. I do not use ANY social media for my work. I have two very talented children who dance hip hop. (shameless plug, follow them on Twitter @Kevin_XS & @MikeHydroflow and check their blog www.flowxs.blogspot.com) whom I brag about constantly on FaceBook and my personal twitter account (@MarkPPG). I also have a twitter account for my BlackBerry blog @AllAboutMyBB that I actively update. Add to that a Foursquare account and an Instagram account. Here's the problem. Trying to get information out is tedious. Let's share a YouTube video for example. From the browser I have to click share and then which social media site I wish to share it with. I can only do them one at a time. This means up to 6 times, depending on which sites I want to share it with. That's a lot of wasted time, and as we all know very well these days, time is precious. Sure this can be made slightly simpler with apps like Instagram where it can post to FaceBook and Twitter at the same time. But it can't share to a BBM channel or a BBM contact or group (because it's an Android port). I was using Scope app on my legacy BlackBerry device and tried sideloading it to my Z10 as well. But an Android port has limited sharing ability as well and I found that it was OK for my personal Twitter and FaceBook but nothing more. So what's the solution? I'm thinking an app similar to the legacy devices Social feeds app. Where from anywhere on the device I can select share to social feeds and then choose which of my social media I want to share to. I honestly feel this will directly impact how quickly BBM channels is adopted. If it just becomes one more place to post stuff AND can't be done simultaneously with other social media from my BlackBerry, I'm going to struggle to update it. What do by our think? Am I just being picky? Should I just cut down on the number of social media accounts I have? Or am I on to something? Sound off in the comments or tweet me your opinion. *This is the right blog for anyone who wants to find out about this topic. You realize so much its almost hard to argue with you . You definitely put a new spin on a topic thats been written about for years. Great stuff, just great!